What kind of animal is the text talking about? What is the topic of each paragraph? 2. Look at the questions. What kind of information do you need to find? In which paragraph do you think you will find this information? Scan the paragraph for the answers. Click on the link below for the activity. The answers are on the third page. Extra Help if you need it! The text is about dung beetles. 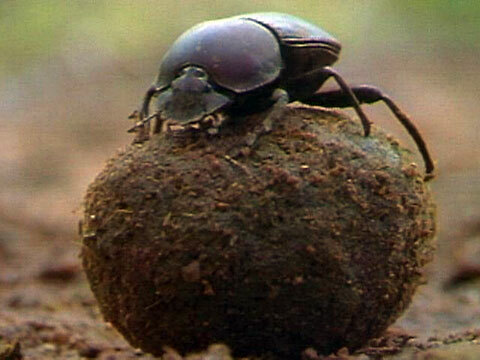 In the diagram you must name the correct dung beetle type (e.g. French, Spanish). You can find the necessary information in paragraph 2. In the diagram, number 6 is close to 20cm, number 7 is close to 30cm, number 8 is close to 10cm. So, scan the text for 20cm, 30cm and 10cm (or numbers or meanings close to this). You will find 2 of these numbers. Number 8 is the hardest because the text doesn’t mention 10cm. But 10cm is the lowest number – can you find a synonym of “lowest” in the text? Posted in IELTS Reading and tagged IELTS practice activity, IELTS preparation, IELTS reading.